I might be biased, but for me one of the best circuits in the world is Bathurst. Unless you've been there you can't really appreciate the elevation changes. The camera doesn't do it justice. I came across this video this morning which I thought I'd share. 2 of my favourite car related things....Porsche and Bathurst. Earlier this year I was lucky enough to see in person my own favourite. 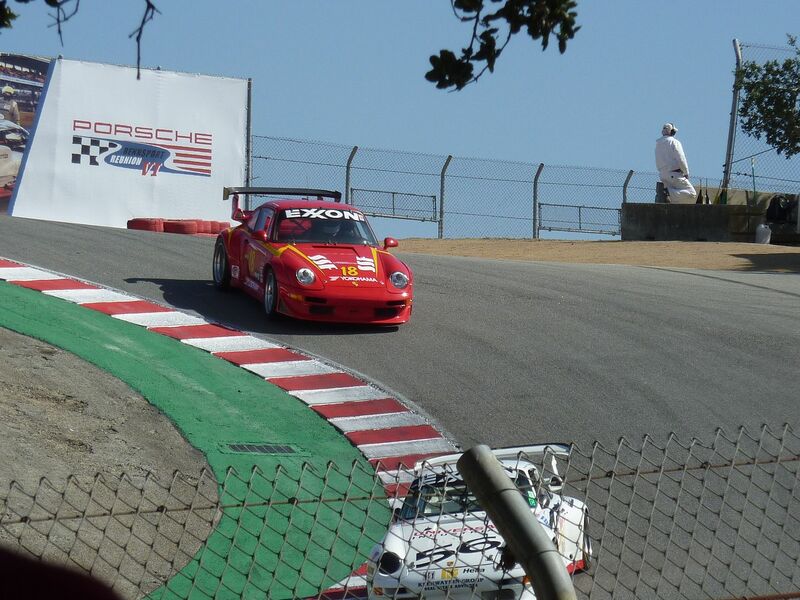 The Corkscrew at Laguna Seca. My top 3. It's not a coincedence that they're all dramatic elevation change circuits. Great pic btw. I'd add 'The Ring' to that list for exactly the same reason. Until you see it in person you don't realise just how 3D it is. Most video clips only show corners and straights in isolation and even 'in car' footage doesn't do it justice. Panorama and L'Seca have it beat for drops though. Of course the Ring should be included as should Phillip Island. For my money, the in-car of Tom Walkinshaw's XJS V12 does it. I read somewhere that the floor of the car got so hot it used to melt his left race boot. Oh no the vid does work. That Jag was a beast though. I remember it well. He looked pretty unflustered around there. I agree with the top 3 being Laguna, Spa and Bathurst, in no particular order. This is one of my favourite Laguna races. Dramatic end to an LM series race. Rossi vs Stoner was a great battle too. And speaking of Phillip Island, it always provides an awesome moto gp race, the first thing that always pops in my head though is Iannone nutting the seagull. 3 cracking vids. The commentary on the seagull is brilliant. Here is another vid of some quality driving at Bathurst. Oh mate that video is quality. 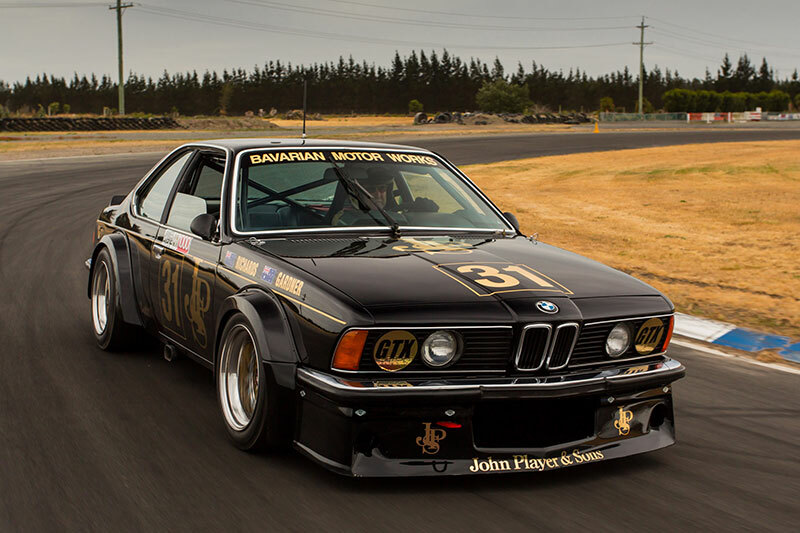 Back in the day when a race car was like the road going version modified for racing rather than bespoke cars manufactured to look like the road going version. Great clip, thanks for that. That's my childhood right there. Back in the day, dad had three XJS's on the bounce. Sadly not V12s! Although the six cylinder was a lovely, lovely motor and I was lucky enough to have once borrowed one from him for a weekend trip up to Scotland. I can clearly remember, when he got the first one, that Tom Walkinshaw and TWR were inextricably linked to Jaguar which, at the time, with both the XJS and also the Group C cars) was having a bit of a purple patch (quite literally in the case of the Silk Cut Le Mans cars). Of course that was also where Ross Brawn got a fair bit of his early experience too. As you say, seeing the barely altered production cars race was epic. I loved the BMWs and the Capris too. All great cars. Would love to ride it! Getting round in under 30 mins is insane for the quickest lap! Figured I could chuck up the equivalents for the other tracks mentioned if anyone finds them interesting. Can't see anyone has cycled Bathurst. Mount Panorama has 174m elevation change. According to Google that is. BB. I beat you to the punch with that vid a few posts back. Up there with Lewis Hamilton in GP2 carving up the field from.the back.